Waving flags and sporting caps and T-shirts of favorite teams, legions of fans descend on Shanghai circuit for the Chinese Grand Prix. I was in primary school when Formula One’s Chinese Grand Prix debuted in Shanghai in 2004. My classmates, especially the boys, were captivated by the sport. Imagining that they were the embodiment of their favorite racing drivers, the boys ran around the playground during recess, holding imaginary steering wheels and roaring the sounds of engines. It was a game where the fastest runner won the race. He will no doubt be among the legions of motor racing fans watching the Chinese Grand Prix this weekend. The annual event, to be held at the Shanghai International Circuit in Jiading District, marks the 1,000th race in Formula One’s 70-year history. Yang said he is still a devoted F1 enthusiast and has watched nearly every race. 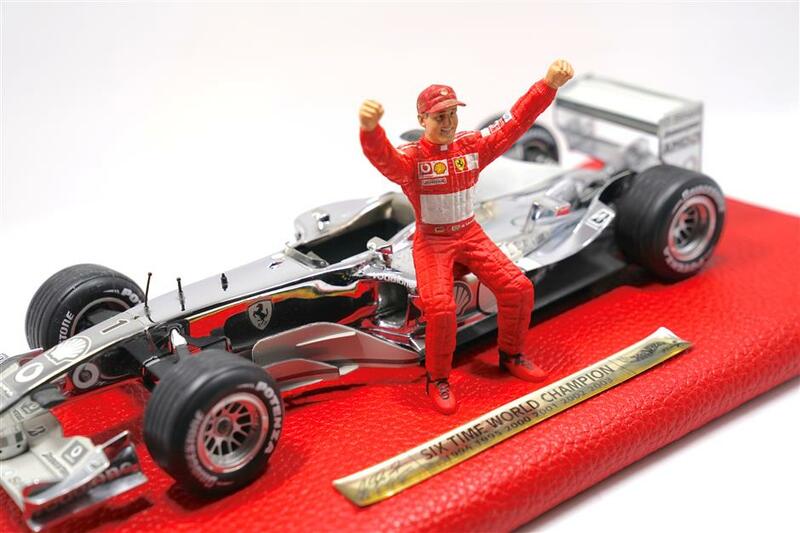 He still recalls the 2005 Japanese Grand Prix, when Räikkönen won after starting from 17th place and overtaking the race leader on the final lap. Yang’s focus in watching races has changed over the years. In the beginning, he said he was obsessed by rankings. But now, he said he pays more attention to strategy. As he listens to the running commentary, he also follows live timing on the official F1 App and real-time updates from the paddock on Twitter. Based on the data, he tries to figure out the potential strategy for Räikkönen to maximize the race result. “I admire Kimi because of his enthusiasm for the sport, how he treats winning and losing with calm, his straightforward personality and supreme driving skills,” Yang said of the 39-year-old Finn, also has been nicknamed “the iceman” and drives for Alfa Romeo. 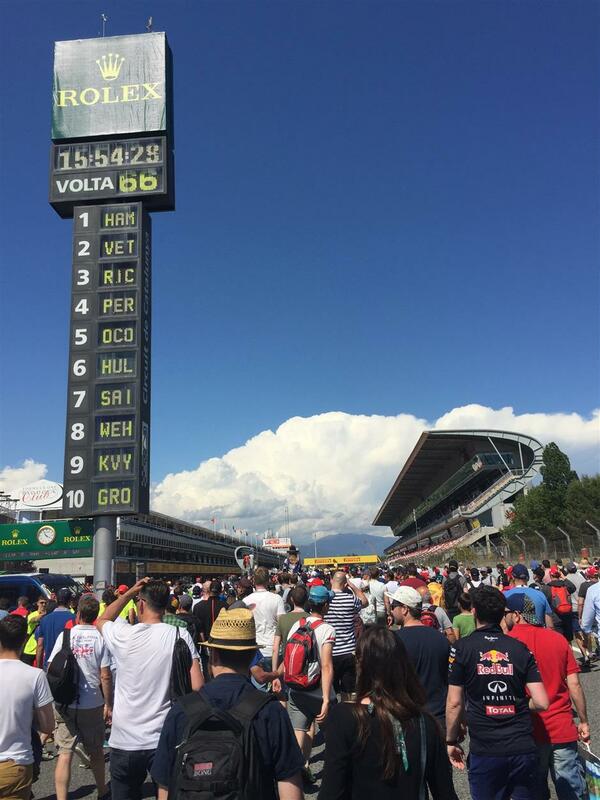 Motor racing fans crowd onto the racetrack of the Circuit de Catalunya in 2017. A mosaic artwork at the Spanish Grand Prix honors the local favorite, Spanish driver Fernando Alonso. Influenced by my classmates, I began to follow Formula One in 2005. Buying a monthly F1 magazine was one of my routines, not only for the updates, but, more importantly, for the complimentary posters. The one featuring Michael Schumacher and his racing car hung on a wall in my room for over a decade. The posters and magazines are still stored in a suitcase, along with tickets, hats and other souvenir paraphernalia. I went to watch the Chinese Grand Prix for the first time in 2005, with my parents. The event took place in October and was the final race of the season. I can still remember the frustration that swelled in me when Schumacher’s car collided with another car during a warm-up lap before the race had even officially started. Fernando Alonso from Renault won the race as well as the world championship that year. Many friends ask me what’s the difference between watching the Grand Prix on television and watching it in person. Some of them tell me that watching at home is cozier and has the advantage of lively running commentary. Actually, that’s true. But what the television can’t offer is that on-the-scene vibrating sensation of cars speeding by, the almost surreal atmosphere in the grandstands and various interactive activities on the circuits. In 2017, I went to Barcelona to watch the Spanish Grand Prix. Before the race, I participated in the activity of trying to change a racing-car tire. I failed. The tires were much heavier than I expected. 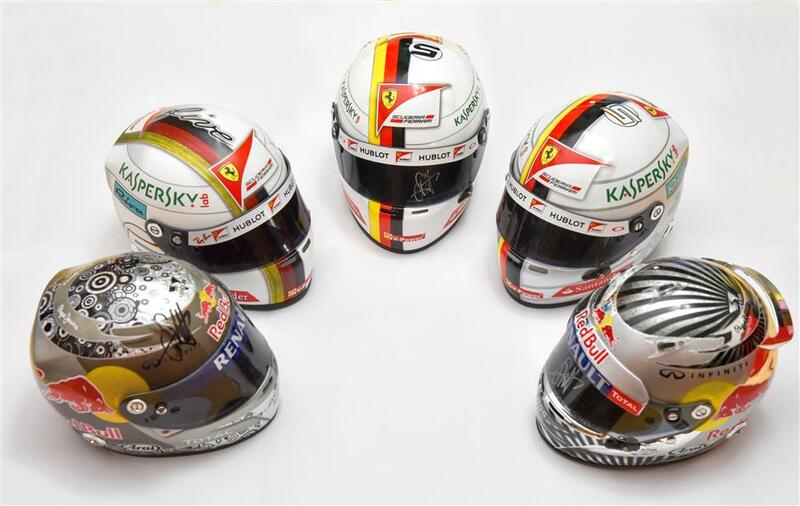 But it gave me a new appreciation of the precise teamwork required in Formula One racing. In the 2016 Azerbaijan Grand Prix, Felipe Massa’s pit crew took just 1.92 seconds to fit four new tires to his car. Unbelievable! During a race, fans around me jumped and screamed, lap by lap as their favorite drivers passed. Wearing the same T-shirts and caps, I quickly found a sense of belonging with other Ferrari fans. Loud, powerful, thrilling and exciting. Motor racing is full of possibilities. No one knows what will happen in the next second, or more precisely, millisecond. It sometimes can be a really cruel sport. From finding to purchase and fixing, it took Shen eight and a half years to own this Ferrari F2003GA model. Solar Shen, 26, is a photographer and a fan of Sebastian Vettel, who currently drives for Ferrari. Shen once told me about the thrilling conclusion of the 2016 24 Hours of Le Mans, an automobile racing endurance event. Kazuki Nakajima was driving a Toyota that suffered mechanical problems on the last lap with three minutes left on the clock. Neel Jani of Porsche overcame the one-minute gap with the ailing Toyota and passed it on the final lap, and the Porsche team won the race. Shen’s love for the racetrack stretches back 15 years. He is so passionate that the sport actually influences his daily life. He wears a lot of red clothing, mainly because red is the color of the Vettel’s Ferrari team. Apart from following races religiously and subscribing to racing magazines, Shen also collects car models. During his high-school days, Shen ran an F1 student club with around 40 members. The club, supported by the school, held various activities. 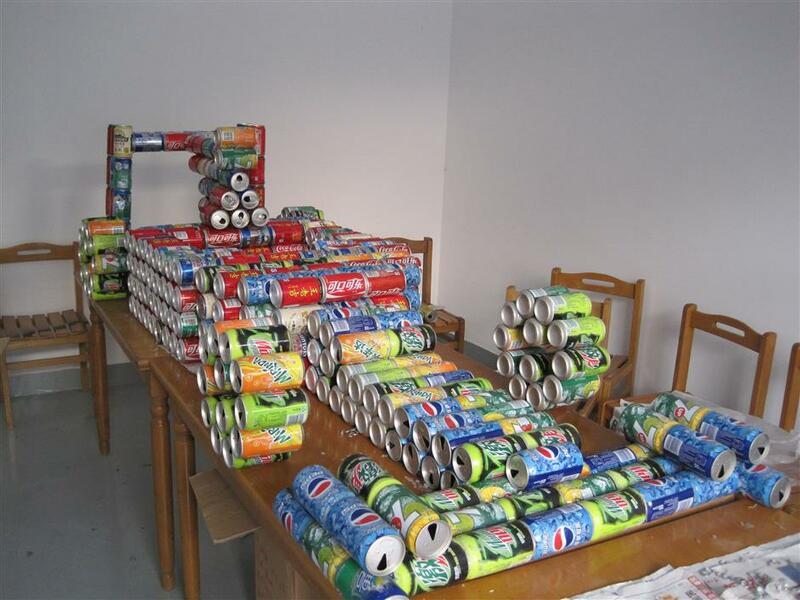 Club members once made a 1:2 scale racing car, using recycled soft drink cans. They held karting races and invited other schools to participate. For Shen, the greatest achievement was an F1 magazine that club members compiled by themselves. It took 10 of them more than six months to complete and contained information on Formula One cars, drivers, teams and rules of the sport. For Shen, going to Grand Prix races is a ritual. He always carries a marker pen, hoping to grab an autograph from his idol. Shen and other members of his F1 student club used soft drink cans to make a model race car. Alex Zhou, 30, nicknamed "polar bear", is a fan of Kimi Räikkönen and a collector of model cars. 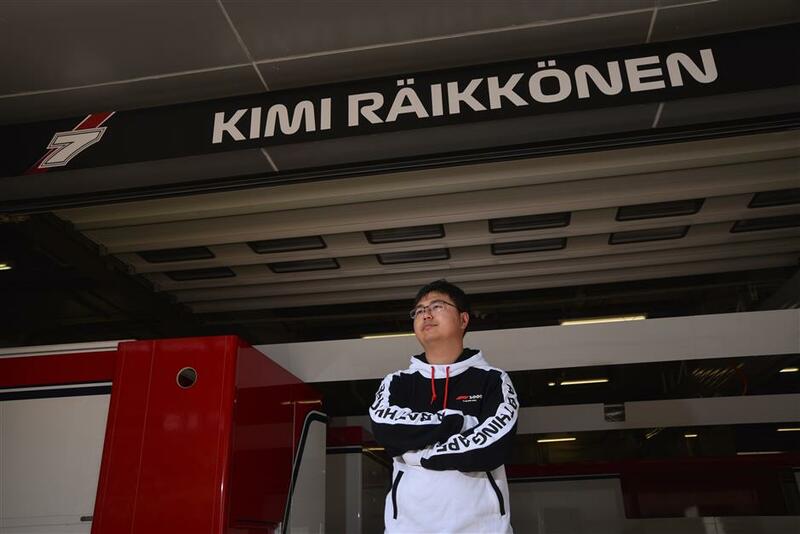 Another ardent Formula One fan is Alex Zhou, whose nickname is Beijixiong, or “polar bear.” Like Yang, he is also a fan of Räikkönen. With a collection of 300 to 400 pieces of memorabilia, the 30-year-old is famous in the circle of F1 car-model collectors. Among his collection, the most precious are two models sent by his father after he passed the college entrance examination. Evolving a hobby into an avocation, Zhou operates the Shanghai Racing Wing Media, sharing the latest F1 news on social media. He also runs an online shop selling car models. According to Zhou, there is an unwritten rule in his shop. 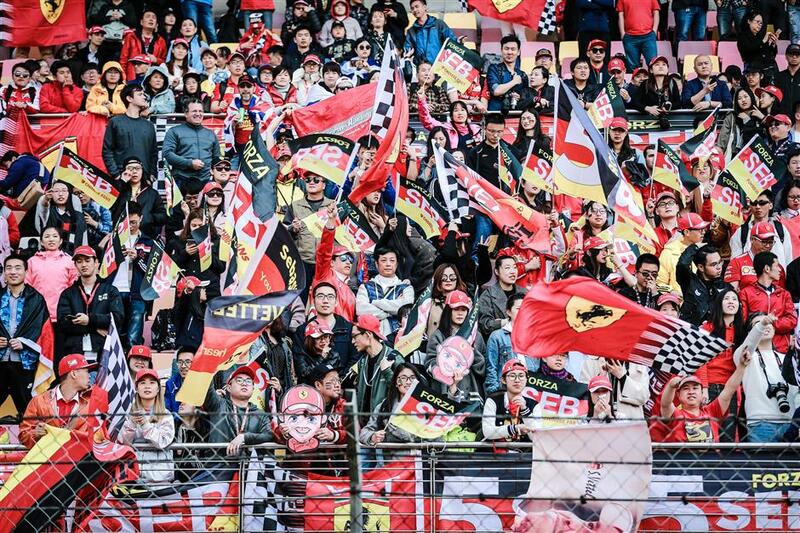 If the price of a car is more than 500 yuan, young F1 fans are allowed to pay in interest-free installments. He has traveled to Japan, the United Arab Emirates and Italy to watch races in person. “I plan to donate my whole car collection for an exhibition in the future, allowing more people to become acquainted with Formula One,” said Zhou.